The prolific funnyman belted out a tribute to the GOP candidate. 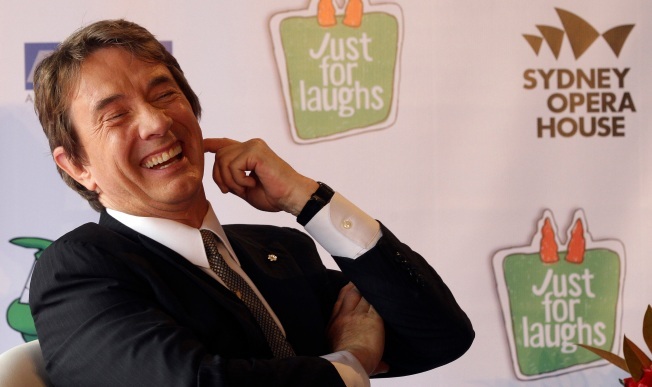 Martin Short at the Just for Laughs comedy festival in Australia last year. On Wednesday's edition of "Late Show with David Letterman," Martin Short took center-stage to pay musical tribute to Mitt Romney. The "SCTV" and "SNL" funnyman poked fun at some of the GOP candidate's recent campaign gaffes with "It's Raining Mitt," a parody song modeled on "It's Raining Men." Before Short exercised his vocal chords, he told Letterman that the musical number was also intended as a tribute to the legendary talk-show host on the thirtieth anniversary of his popular CBS show.